Theateregoers this month is for you: Samuel Beckett’s Krapp’s Last Tape (Thurs 1 Sept) as performed by Tom Owen (Last Of The Summer Wine) tells the tale of Krapp, an irascible chap who spends each of his birthdays recording a tape to himself. Join him as on his 69th he listens back on the follies of his prideful youth. As can be expected from Beckett, a witty and thoughtful tale. Our other one man show has less to say on the pitfalls of aging and is much more riotous in its humour – Will Seaward’s Ghost Stories (Thurs 22 Oct) will be arriving at Arlington with bags of ghouls, gremlins and growls for a halloween dreadtacular. Fans of the folk will do well to check out up-and-comers The Rails (Fri 2 Oct). Giving off the vibe of a London pub in summertime (this does seem to be where the majority of their videos are filmed) the duo have been signed to the same label (it’s Pink) that gave us records from Nick Cave, John Martyn and Fairport Convention. At the less rocky end of the spectrum are The Shee (Fri 16 Oct), a sextet of folk aficionados featuring harp, fiddle, mandolin accordion and flute for a gaelic & bluegrass fusion. 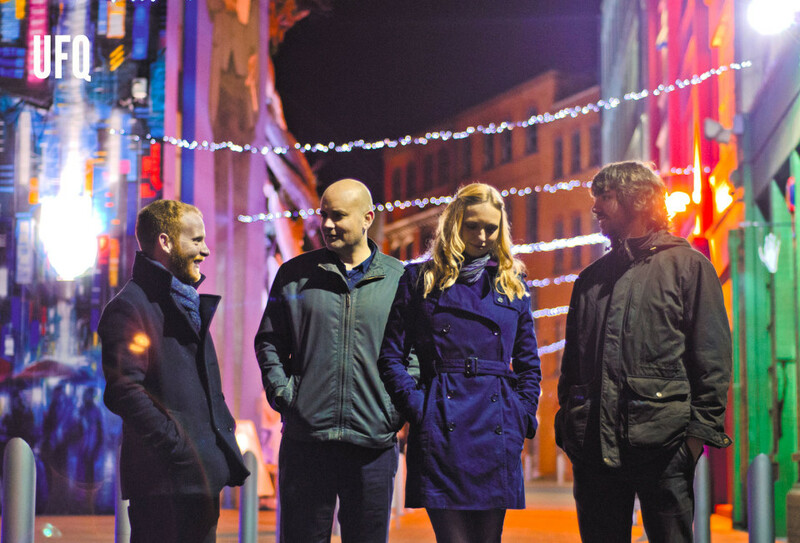 Mixing even more genres together is the Urban Folk Quartet (Fri 30 Oct). Back on the Arlington stage their influences are too numerous to list, but you’ll find it hard to miss the distinct middle eastern and afrobeat vibes. Put all this in context with Simpson & Flemons (Thurs 8 Oct) as they take you on a journey through England & America’s shared folk traditions. Comprised of English guitarist, songwriter and multi-award holder Martin Simpson, and American guitar, banjo (and bones!) player Dom Flemons, of the Carolina Chocolate Drops, present the unsanitised bigger picture. Moving away (sort of) from the folk we’ve got International Guitar Night (Thurs 15 Oct) bringing together luminaries from across the globe to play solos, duets and quartets. Like the A-Team of the guitar scene, the night will feature Brian Gore, Mike Dawes, Lulo Reinhardt and Andre Krengel. Another guitar star Mark Nevin (Sat 24 Oct), of Fairground Attraction, will be performing his beautiful collection of narrative driven songs towards the end of the month, and Joanne Shaw Taylor (Fri 23 Oct) is a firecracker of a blues guitarist that we’re thrilled to finally have with us. Double headliners The Christians & Roachford (Sun 4 Oct) are already a very popular choice too, for good reason. The infectious melodies and warm harmonies feed on accusations, protest and despair and strike a deep chord to listeners. Joined by long-time friend Andrew Roachford best known for hits “Cuddly Toy” and “Family Man”, Roachford has something of a maverick take on the singer-songwriter genre. Tom Robinson (Weds 28 Oct) is back in the studio after 20 years since 2-4-6-8 Motorway and Glad To Be Gay. Inspired by the acts he’s encountered whilst presenting for BBC 6 Music and BBC Introducing, Tom’s new album features full band and all of his raw spirit. Finding innovative ways to collaborate between disable and non-disabled artists, Stopgap Dance (Mon 12 Oct) company also make their debut at Arlington Arts with their show Artificial Things. Slowly suffocating in each other’s company, a group of individuals seek escape in a bash of riotous rock-n-roll. To find out more or book online click here. Or call 01635 244 246 between 10-4.30pm Monday-Friday.